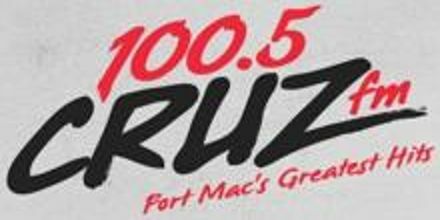 100.5 Cruz FM is a broadcast Radio station from Fort McMurray, Alberta, Canada. This station is popular for its Classic Hits Music. Here also provides international music that varies from genre to genre. Harvard Broadcasting is the owner and operator of this station. Cruz FM first arrived on June 16, 2008. This station key vision is to play what their listeners want to listen. To get more information just visit 100.5 Cruz FM official Website: www.cruzradio.com. 100.5 Cruz FM foremost vision is to play what their listeners will listen or if saying the other way what their listeners would like to listen. Although their main genre of choice is Classic Hits Music, they also playing songs from genres like hip hop, urban, r n b etc. CHFT-FM is a Canadian radio station broadcasting at 100.5 FM in Fort McMurray, Alberta. At first, owned by Newcap Radio, the station received CRTC approval on November 15, 2006, and launched on June 16, 2008, branded as “100.5 K-Rock”. On December 10, 2009, the station applied to the CRTC to increase their effective radiated power from 25,000 watts to 50,000 watts and received approval on June 9, 2010. On November 7, 2013, the CRTC approved the application by Harvard Broadcasting Inc to acquire CHFT-FM from Newcap Radio. On December 26, 2013, at 10 AM, CHFT-FM was rebranded to 100.5 Cruz FM. The last song on 100.5 K-Rock was “The Boys of Summer” by Don Henley, while the first song on 100.5 Cruz FM was “Rock of Ages” by Def Leppard. 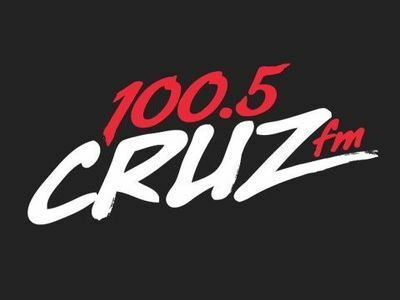 100.5 Cruz FM is Fort McMurray’s newest radio station playing Rock, Classic Rock, Pop and New Wave Hits from the 70’s, 80’s, 90’s and 2000’s including artists like Aerosmith, John Mellencamp, Bryan Adams, Van Halen, Blondie, David Bowie, AC/DC, Journey, Kiss, Loverboy, Tom Petty, New Order, Queen, Red Hot Chili Peppers, Rolling Stones, Bruce Springsteen, and Supertramp. In Fort McMurray’s highly competitive radio market, with multiple stations, 100.5 CRUZ FM’s recognizable brand continues to standout!. To get advertisement schedule, get connect with radio website via Email. Address: 100.5 CRUZ FM; 108 Riverstone Ridge, suite 211; Fort McMurray, Alberta. Liveonlineradio.net has 100.5 Cruz FM Radio in its listings. Just click and enjoy. 100.5 Cruz FM – www.liveonlineradio.net/canada/100-5-cruz-fm.